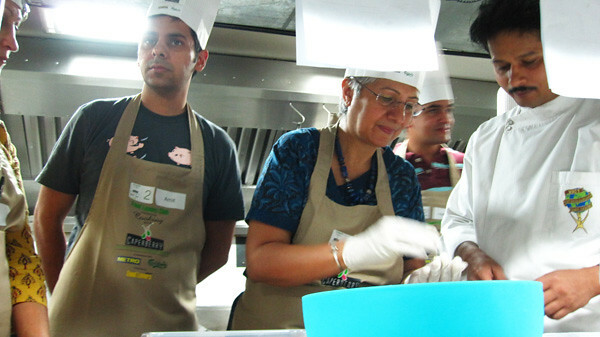 I attended another unlikely-to-happen-in-India-event last weekend - a Spanish cooking class. Capperberry has always been one of my favorite restaurants in Bangalore so when Mama B asked if we wanted to participate in the cooking class, I signed-up right away! 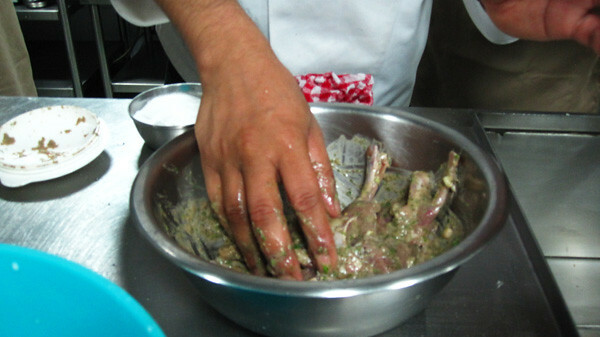 Caperberry head chef, Abhijit Saha must be by now, one of the most famous chefs in Bangalore. 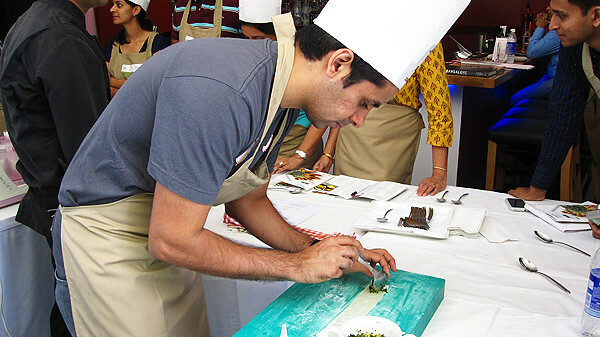 He's literally bringing Bangalore's gastronomical scene up to world standards. I think by collaborating with Food Lovers' magazine, and offering cooking classes in the Capperberry kitchen itself, he's luring people like me to come back for more! The class started at 10 a.m. on a Saturday. 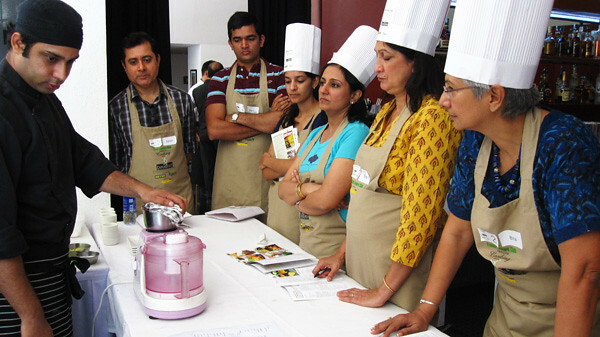 Participants were divided into groups of 8 people. 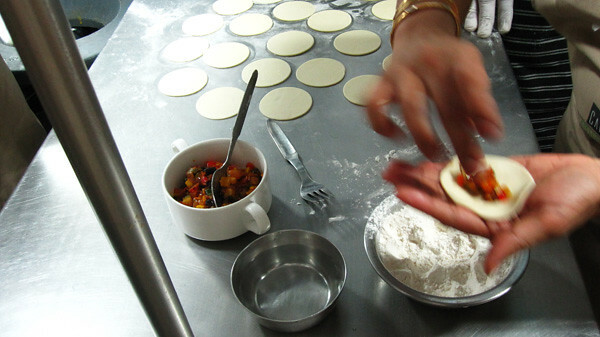 Filling empanadas dough with grilled chopped vegetables. 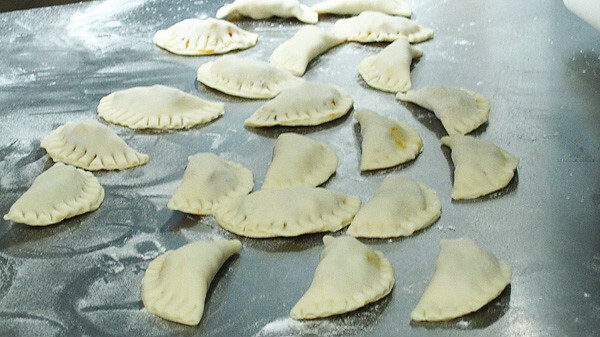 Everyone had a chance to make their own empanadas. 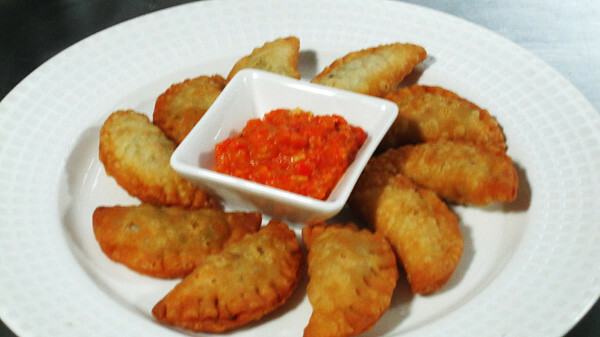 (sorry, shaky hands make blurry photos) Empanadas served with Romesco which is a dip made of bell peppers, almond, bread and a bunch of other things. This is a super simple dish with only 4 ingredients but taste absolutely delish! 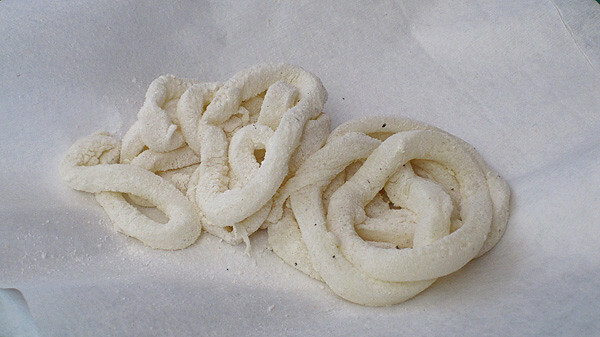 Forming cheese patties before dipping into batter and then into the fryer. Ingredients for spicy tomato sauce. 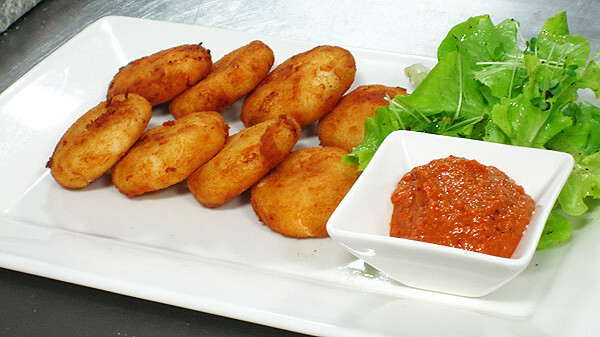 Crumb fried goat cheese with spicy tomato sauce. Here's one thing I've learned that would be helpful to you cooks out there. 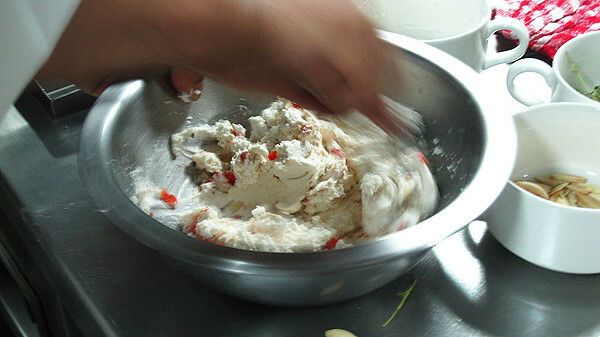 The chef added a big spoonful of mashed papaya into the marinade to tenderize the meat. 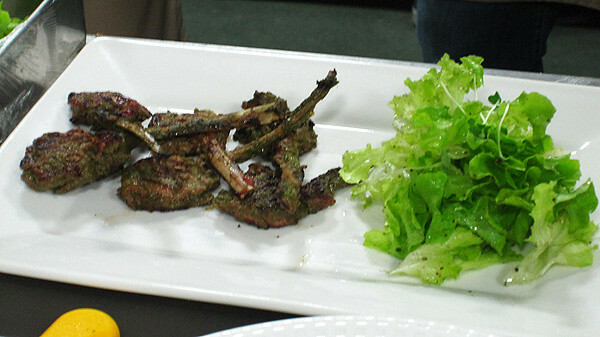 One of the bestest lamb chops I've ever eaten! 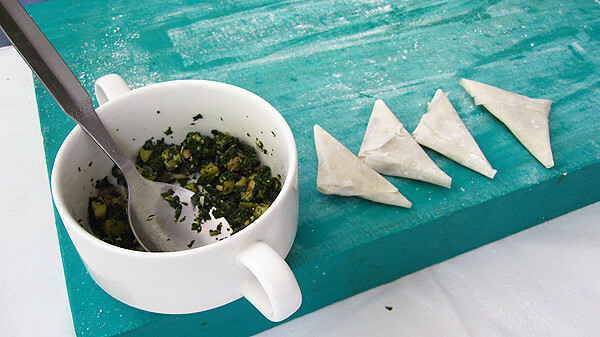 Chef "A" stuffing filo triangles. The one on the far left is mine! 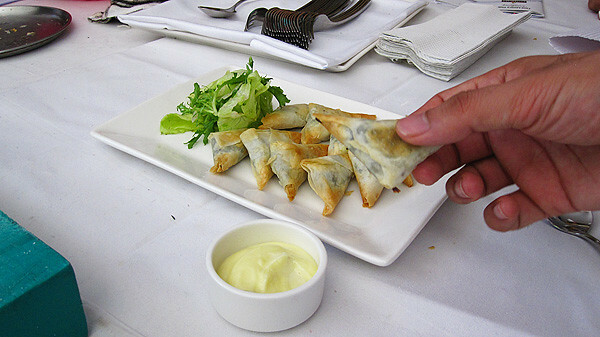 Filo triangles with alioli, a form of aioli. 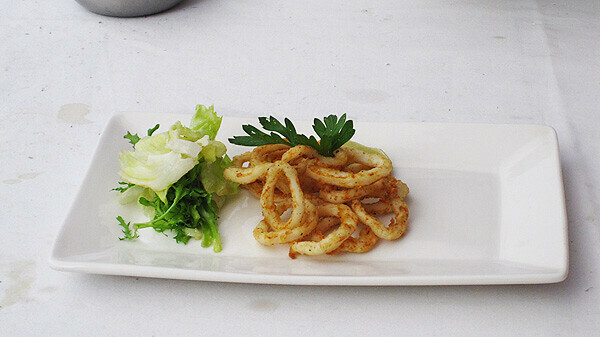 Calamari is soaked in milk then dusted with seasoned flour before dipping into the hot fryer for 40 seconds. 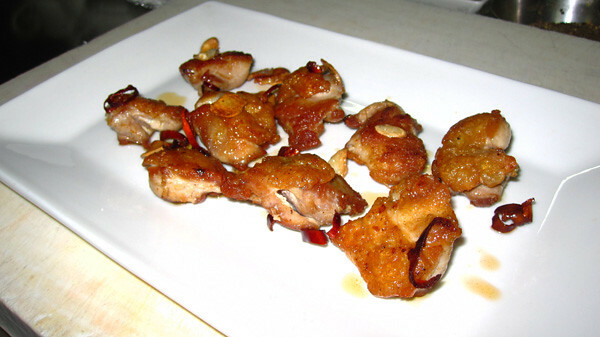 A fairly simple dish to make and only perfect when eaten right off the fryer. The whole class took about four hours but we got to eat everything we made. 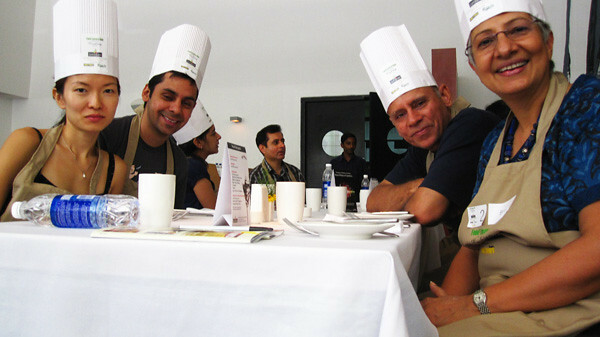 After the class, Chef Abhijit served us a full meal, some of the dishes served were the same ones we had just learnt. So, you can imagine how stuffed I was by the time I left the restaurant. 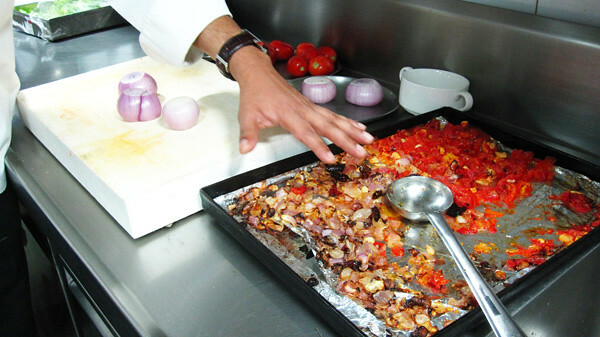 Read about what Chef Abhijit served us for lunch on my other blog.